We seek to only provide you with the highest quality service and parts. All of our garage door contractors are highly trained and qualified to work on your garage door, no matter what you need to be done with it. If you need it to be repaired, our contractors can handle that. If you need your garage door replaced, we can take care of that as well. 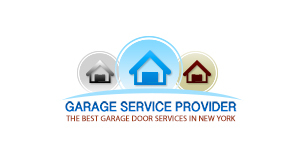 There is no need for you to call anyone else in all of Mamaroneck for your garage door service needs. We carry all of the major brands of doors and openers. It does not matter what brand you prefer or what brand you have, we can work with it. There is no brand of door or garage door opener that we have not worked on. If you have a specific item in mind, then just ask us if we have it in stock. If by some rare chance that we do not have that particular item in stock, we will get it for you. That is just another reason why we are the best door service Mamaroneck. We pride ourselves in providing the best work and customer service to our customers here in Mamaroneck. We will not be outdone by anyone on the high quality of service that we give our customers. We settle for nothing less than 100% satisfaction – anything less is a failure on our part. If you are ever dissatisfied for any reason, even just a little bit, then let us know. We will do everything we can to fix the problem so that you can say you are completely satisfied with the work that we did.